DENVER – Gov. 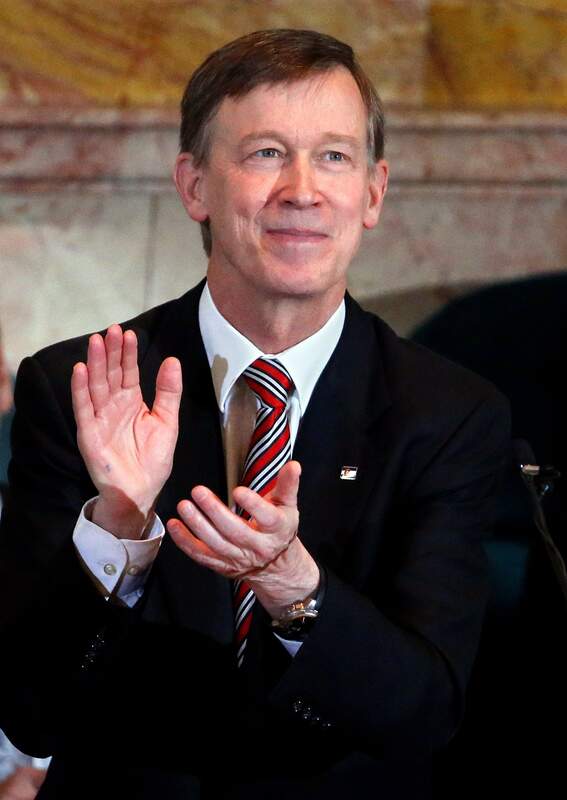 John Hickenlooper on Thursday said the state can do more to push for clean air, doubling down on a draft executive order that would order cuts in carbon pollution. The proposed order came to light Wednesday, despite a court-ordered stay that has derailed the federal Clean Power Plan. It would call for a 25-percent reduction in carbon dioxide emissions from the power sector by 2025, as compared to 2012 levels, and a 35-percent reduction in emissions by 2030. Speaking before a gathering of oil and gas stakeholders in Denver, Hickenlooper, a Democrat, explained why he is considering the executive order. “What we’re trying to look at, without increasing costs, is are there ways to have cleaner energy?” Hickenlooper said, after being asked about the proposal during a panel discussion at the annual Rocky Mountain Energy Summit. The governor called the proposal a “vision” and a “goal,” which would come with a stakeholder process and open rule-making. But news of the order brought criticism given a February U.S. Supreme Court ruling that temporarily delayed implementation of federal carbon-pollution standards. Colorado is one of 29 states challenging implementation of the rule. Colorado’s part in the lawsuit is being pushed by Republican Attorney General Cynthia Coffman. Under the Clean Power Plan, Colorado is required to cut carbon-dioxide emissions by 28 percent by 2030. Nationally, the plan calls for a 32-percent reduction. State budget talks this year were complicated by Republicans who attempted to strip air quality funding in an effort to block implementation of the Clean Power Plan. Republicans feared that the governor would attempt executive action. “Gov. Hickenlooper seems poised to steal a page from the Obama playbook by using executive authority to push through radical climate ideas that he can’t get approved through the democratic process, which means they’re probably too out of the mainstream for Colorado,” said Sen. Jerry Sonnenberg, R-Sterling, who led much of the effort this year to block air-quality funding. On the other side of the debate, environmentalists applauded the governor for seeking to move forward as a state in light of legal gridlock. “Kids need outside playtime and clean air to grow up healthy,” said Jen Clanahan, with Colorado Moms Know Best, a group that advocates for children’s health and well-being as it relates to the environment.